The use of pragmatics in applying the law is hard to deal with for a legal knowledge engineer who needs to model it in a precise KR for (semi-)automated legal reasoning systems. The negative aspects of pragmatics is due to the difficulty involved in separating their concerns. When representing a legal norm for (semi-)automated reasoning, an important step/aspect is the annotation of legal sections under consideration. Annotation in the context of this paper refers to identification, segregation and thereafter representation of the content and its associated context. 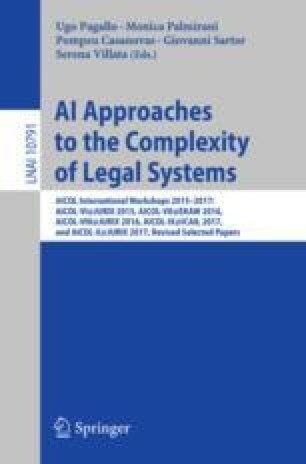 In this paper we present an approach and provide a proof-of-concept implementation for automatizing the process of identifying the most relevant judgment pertaining to a legal section and further transforming them into a formal representation format. The annotated legal section and its related judgments can then be mapped into a decision model for further down the line processing.